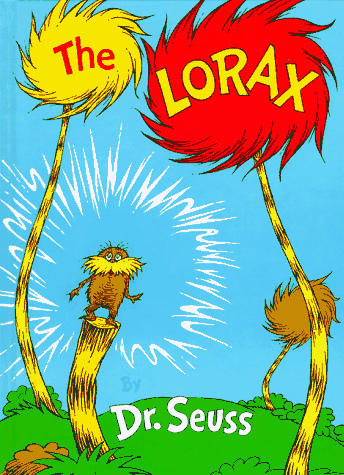 Top Ten: Books to Connect Children to Nature. Home→Blog→book reviews→Top Ten: Books to Connect Children to Nature. I wrote my list of the top ten children’s books to learn about social justice right after Martin Luther King, Jr. Day. Here is part two in hopes that our children learn about caring for the earth in simple ways first so that as they grow they don’t take our precious resources for granted. This was a difficult list to narrow down. There are just so many good books out there to teach children about their natural surroundings and how they can play a part in protecting the wild and the free. We are leaving our children a world with many problems, from fossil fuel dependency to pervasive toxins to melting glaciers and rising permafrost temperatures, the least we can do is prepare them for it. 1. 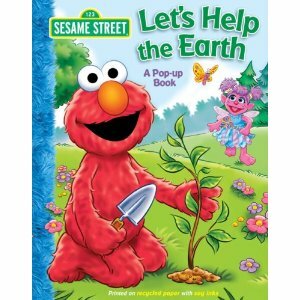 Let’s Help the Earth (Sesame Street) For the littlest ones, Sesame Street introduces the concepts of environmental awareness and appreciation for the world around us. Elmo helps show small tasks that any of us could do to help the planet, it gives children and parents an age-appropriate way to introduce environmental concepts. 2. 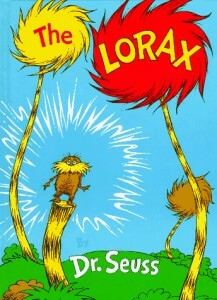 The Lorax by Dr. Seuss With the rhythmic cadence of any of Dr. Seuss masterpieces, this one delves into a sadder tale of mindless exploit and the dangers of pollution. Set off with bright, colorful photos and the message, “Unless someone like you…cares a whole awful lot…nothing is going to get better…It’s not,” makes it clear that no one can sit idly by any longer. This is a favorite in my house. 3. 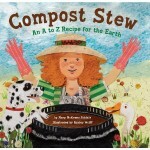 Compost Stew: An A to Z Recipe for the Earth by Mary Siddals A fun way to learn about making compost at home to nourish the earth’s soil. Each letter stands for a different “ingredient” of what will go into the compost stew. An eco-friendly lesson in a different type of recycling, the dos and don’ts of composting, and giving back the richness to the garden soil that needs it. A great read-aloud. 4. 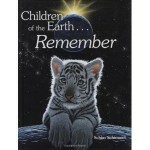 Children of the Earth… Remember by Schim Schimmel This is a wonderful story of Mother Earth coming to be. A wonderful look at the planet’s animals, people, and the connections of all living things with gorgeous illustrations. A reminder to us all that we must remember our shared ecology and work to protect what has been lovingly created. 5. 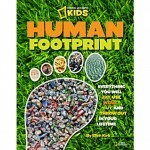 Human Footprint: Everything You Will Eat, Use, Wear, Buy, and Throw Out in Your Lifetime (National Geographic Kids) A look what our human footprint really is through striking visualization. Showing our consumption through photos and giving easy tips on how to conserve our resources, this book resonates with young and old alike. And both can use this as a catalyst to changing habits! 6. 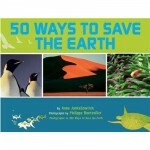 50 Ways to Save the Earth by Anne Jankeliowitch Describing 50 easy tasks that children can complete daily empowers them to realize they can have a positive impact on the environment – that any action, no matter the size is important. Beautiful photographs of our natural world that will inspire any budding environmentalist to protect it. to a superstar wrestler, these real-life heroes are an inspiration to all that care about the world we live in. Includes illustrations and photos to bring each tale vividly to life! 8. 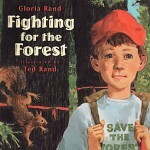 Fighting for the Forest by Gloria Rand A tale of a boy and his father who discover that the ancient forest near their home has been marked by loggers. The boy begins a campaign to fight to save the forest! With illustrations of native flora and fauna and a nature guide at the end, it’s the perfect book for young naturalists. 9. 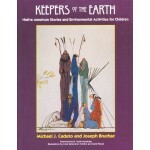 Keepers of the Earth: Native American Stories and Environmental Activities for Children by Michael J Caduto An environmental classic that teaches children respect for the earth and all living things. The Native American stories are a wonderful way to encourage understanding different cultures and how they all relate to their environment. 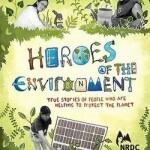 Science, social studies, and environmental stewardship in one lovely book. 10. 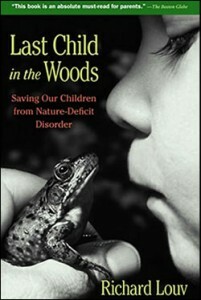 Last Child in the Woods: Saving Our Children from Nature-Deficit Disorder by Richard Louv This may not be a children’s book, but if you are a parent that reads and acts on the information presented in this book, your children will certainly learn to connect to nature in a way that too many children these days do not. Louv brings a whole body of research to the forefront that direct exposure to nature is essential for healthy childhood development and for the physical and emotional health of children and adults. Then gives practical advice to close that deficit. Which have you read? Am I missing one of your favorites? There may be some affiliate links in this post. The pennies I may earn help to support the maintenance and research for this blog. My opinions are my own as they can never be bought. Thanks, Kelly! I love Rachel Carson. She is such an inspiration. I will have to see if we have “The Sense of Wonder” and at least keep it in mind to share with my children as they grow. That’s great, Charise! I hope Baby loves what you choose! Love these ideas. My son is only two but has been in love with nature since birth. He is so happy and at peace when he’s outside. I’ve read #10, and like the previous poster we also have The Sense Of Wonder, I beautiful book. My son loves Elmo right now, so I’m going to look into getting #1. Love the Top 10 Nature and Top 10 Social Justice Books. Good Night Stories for Rebel Girls is a fun new one.